Olufunmilayo Olopade, MD, is an authority on cancer genetics and triple-negative breast cancer and has received numerous honors for her contributions to cancer treatment and research, including a MacArthur Foundation "Genius" Fellowship. 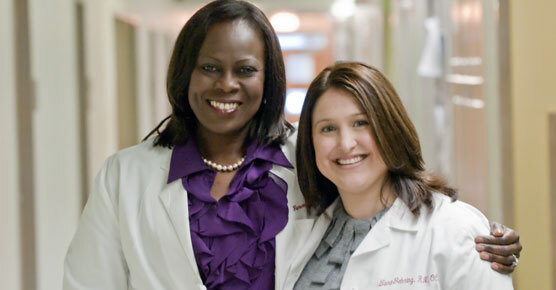 University of Chicago Medicine breast cancer specialists are experienced in treating triple-negative breast cancer, a rare form of breast cancer that occurs disproportionately in young women and African-American women, though it can occur in women of any age or ethnicity. "Triple-negative" means the tumor is estrogen receptor-negative, progesterone receptor-negative and HER2-negative. Many common breast cancer treatments target these receptors, such as tamoxifen, which targets the estrogen receptor, and Herceptin (trastuzumab), which focuses on abnormally expressed HER2 receptors. A triple-negative breast cancer diagnosis means the tumor will not respond to hormone therapies or drugs that target the HER2 overexpression, though other medicines are available. Here, we're conducting clinical trials of promising new treatments for triple-negative breast cancer. 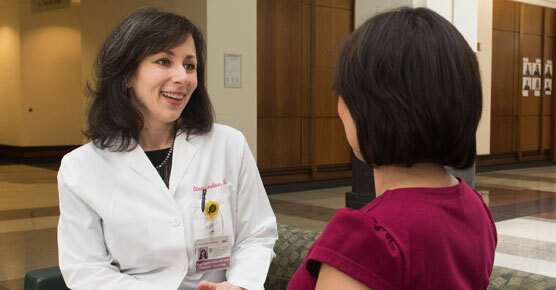 In fact, UChicago Medicine breast cancer experts are part of I-SPY 2, a multi-center clinical trial for women with newly-diagnosed, locally advanced breast cancer (Stage II/III). It is designed to identify effective therapies for specific patient subgroups based on the molecular characteristics of their disease. In 2017, I-SPY 2 researchers reported that pembrolizumab, a drug already approved for use in melanoma, lung cancer and other cancers, is effective in treating triple-negative breast cancer. The lack of better medicines for triple-negative breast cancer prompted a team of UChicago Medicine researchers to look for novel drug targets and new ways to disrupt disease-causing pathways. In the process, they found a pair of new weapons, two seasoned drugs that — when tested in mice — produced encouraging results. 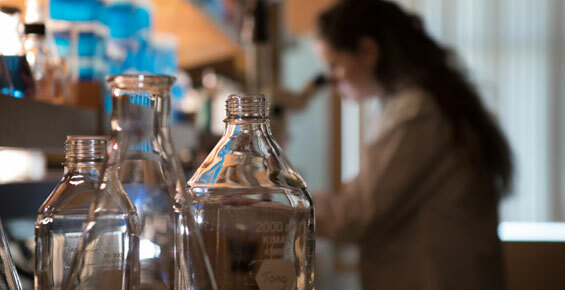 "We think we may have found a way to treat resistant breast cancers that currently have no targeted therapy by repurposing two older drugs, metformin and heme, that are already in the marketplace," said the study's senior author Marsha Rosner, PhD, the Charles B. Huggins Professor in the Ben May Department for Cancer Research at the University of Chicago. Colleen Bokor was diagnosed with triple-negative breast cancer at the age of 27. This aggressive form of breast cancer does not respond to many common breast cancer medicines, such as hormone therapies. At UChicago Medicine, Bokor received customized care for her case, and participated in a leading-edge clinical trial.